NEW YORK (September 11, 2014) – How do you get invited to the hottest concert of the year with Cyndi Lauper? 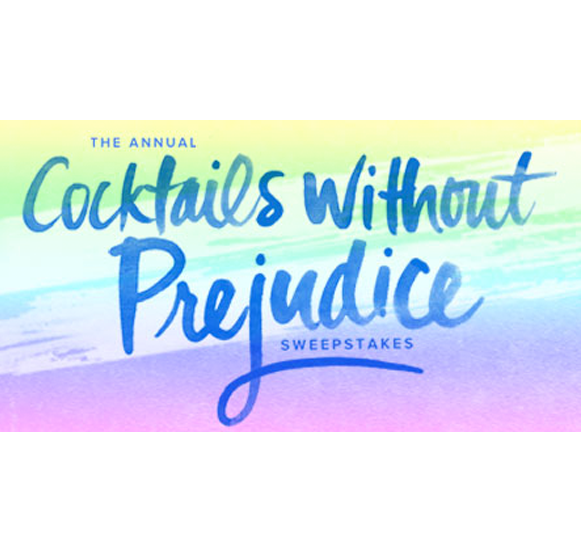 By entering the Cocktails Without Prejudice Sweepstakes from Van Gogh Vodka, benefiting theTrue Colors Fund, which supports gay, lesbian, bisexual and transgender equality. Fans can now enter the annual Cocktails Without Prejudice Sweepstakes to win a trip for two to New York City for two nights along with two VIP tickets to the Cyndi Lauper & Friends: Home for the Holidays benefit concert and VIP after-party on Saturday, December 6, 2014. Entering the annual Cocktails Without Prejudice Sweepstakes is as easy as a click of the mouse – simply visit the Van Gogh Vodka Facebook page and click for a chance to win tickets to the star-studded concert. In addition, for every eligible entry, Van Gogh Vodka will donate $1 to the True Colors Fund, up to $15,000. The sweepstakes benefitting the True Colors Fund ends at 11:59 p.m. ET on Monday, October 6, 2014. To enter, visit the Van Gogh Vodka Facebook page, click on the ‘Win A Trip to NYC’ tab and fill out the form for a chance to win and support equality. For the official rules and complete details, visit http://bit.ly/1qLpzSt. This year marks the 4th annual Cyndi Lauper & Friends: Home for the Holidays benefit concert. The star-studded show will take place at Beacon Theatre in New York City, where 100 percent of the net proceeds will benefit the True Colors Fund’s Forty to None Project, which aims to bring an end to lesbian, gay, bisexual and transgender youth homelessness. Home for the Holidays has quickly become the signature event for Cyndi’s True Colors Fund and Van Gogh Vodka is thrilled to be a supporter for the fourth year in a row. The True Colors Fund was co-founded by Cyndi Lauper to inspire and engage everyone, particularly the straight community, to become active participants in the advancement of gay, lesbian, bisexual and transgender equality. For more information, please visit truecolorsfund.org. Van Gogh flavored vodkas (SRP $27/750ml) are crafted in small batches by Master Distiller Tim Vos of the Royal Dirkzwager Distilleries (which received a Royal Appointment from Queen Beatrix in 2005) at the Cooymans Distillery in Tilburg, The Netherlands. The Van Gogh Vodka portfolio includes 22 authentically flavored vodkas: Açai-Blueberry, Banana, Black Cherry, Citroen, Coconut, Cool Peach, Dutch Caramel, Dutch Chocolate, Double Espresso, Espresso, Grape, Mango, Melon, Mojito Mint, Oranje, PB&J, Pineapple, Pomegranate, Raspberry, Rich Dark Chocolate, Vanilla, and Wild Appel – whose pure, refined flavors are expertly infused in a proprietary process. Van Gogh also produces the exceptional Triple Wheat Van Gogh BLUE Vodka (SRP $29/750ml) and a Gin (SRP $27/750) whose finishes are smooth and delicate. For more information on Van Gogh, please visit us at vangoghvodka.com, find us on Facebook at facebook.com/VanGoghVodkas, on Twitter at twitter.com/VanGoghVodka, on Pinterest at pinterest.com/VanGoghVodka, and on Instagram atinstagram.com/VanGoghVodka. Van Gogh Vodka is imported from Holland exclusively by Van Gogh Imports, Tampa, FL. For more information on Van Gogh Vodka, please contact Rebekah Polster at PadillaCRT at Rebekah.Polster@padillacrt.com or (646) 218-6039. For more information on Van Gogh Imports, please contact Amy Mironov Janish at amy@vangoghimports.com or (646) 469.4450.